One table is available free to any ARRL affiliated Amateur Radio Club interested in promoting their club to Tampa Bay Hamfest attendees. No sales of any ham radio products is permitted on this table. 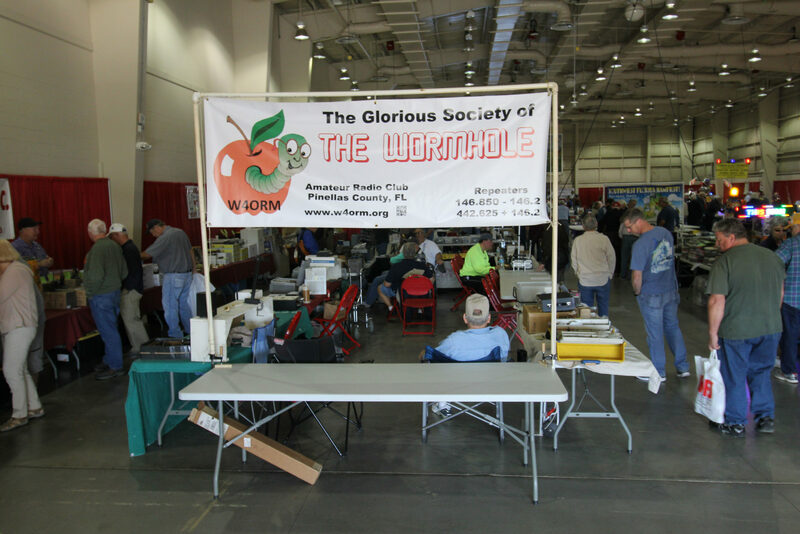 To sell ham radio items the club must purchase one or more Club Sales Tables at a discounted rate here. One table is available free to any ARRL affiliated Amateur Radio Club interested in promoting their club to Tampa Bay Hamfest attendees. However, no sales of any ham radio products is permitted on this table. To sell ham radio items, new or used, the club must purchase one or more Club Sales Tables at a discounted rate here. All club members, promoting or selling, must purchase an admission ticket.